Thailand’s squid fishery is rated CRITICAL RISK. Academic, NGO, and media sources document forced labor and human trafficking in the fishery. For example, the International Labour Organization and Asian Research Center for Migration’s 2013 study surveyed 596 fishermen, 174 (29.2%) of which are identified as working on vessels (including single- and twin-trawl and squid-fishing boats) that caught squid (and other species). According to the report, of the 47 respondents working on twin trawl boats, 30% were forced laborers. In addition, in 2014-15, investigative journalists with The Guardian and Associated Press interviewed Burmese victims who said they caught squid and other high-value species on Thai boats. When a critical risk has been established, adherence to the Seafood Slavery Risk Tool’s country criteria and other mitigating circumstances are not factored in the fishery rating. However, it is important to note that evidence from 2017-18 shows that the risk of forced labor and human trafficking remains high in Thailand’s fisheries even though the Government is making significant progress to combat human rights abuse in the industry. Nevertheless, enforcement of regulations still presents a major challenge. While the U.S. Department of State’s 2018 Trafficking in Persons report upgrades Thailand’s rating from Tier 2 Watch List to Tier 2 in recognition of the Government’s substantial efforts, it also states that significant challenges remain in the fishing industry. In addition, the 2018 Global Slavery Index’s Fisheries analysis rates Thailand’s fishing industry as having a high risk of modern slavery. The Risk Tool team will continue to monitor reform and enforcement efforts in Thailand and encourages Risk Tool users to evaluate current information when conducting their due diligence. France’s Patagonia toothfish fishery is rated LOW RISK. There is no evidence of forced labor, human trafficking, or hazardous child labor in the fishery, in related fisheries, or the fishing industry overall. France meets the Seafood Slavery Risk Tool’s country criteria, though improvement is needed with respect to victim identification and protection of unaccompanied minors. However, sources also indicate that progress is being made on these issues. In addition, there is no information to suggest systemic enforcement failures, such as complicity by government officials or widespread corruption with respect to forced labor, human trafficking. Multiple Regional Fishery Management Organizations. For more information, see Risk Rating Details. The Taiwan tuna and swordfish fishery is rated CRITICAL RISK due to multiple sources documenting forced labor and human trafficking on Taiwanese longline vessels. When a critical risk has been determined, adherence to Seafood Slavery Risk Tool’s country criteria and other mitigating factors are not factored in the fishery rating. It is noted that Taiwan is rated a Tier 1 country in the U.S. Department of State’s 2017 Trafficking in Persons (TIP) Report; the country has legislation to prohibit forced labor, human trafficking, and hazardous child labor in place; and the government has recently enacted legislation to protect foreign fishermen. However, a deeper dive into the TIP Report’s analysis and other evidence point towards systemic non-enforcement of relevant national legislation with regard to the fishing industry. Cuttlefish and bobtail squid, Sepiidae, Sepiolidae spp. 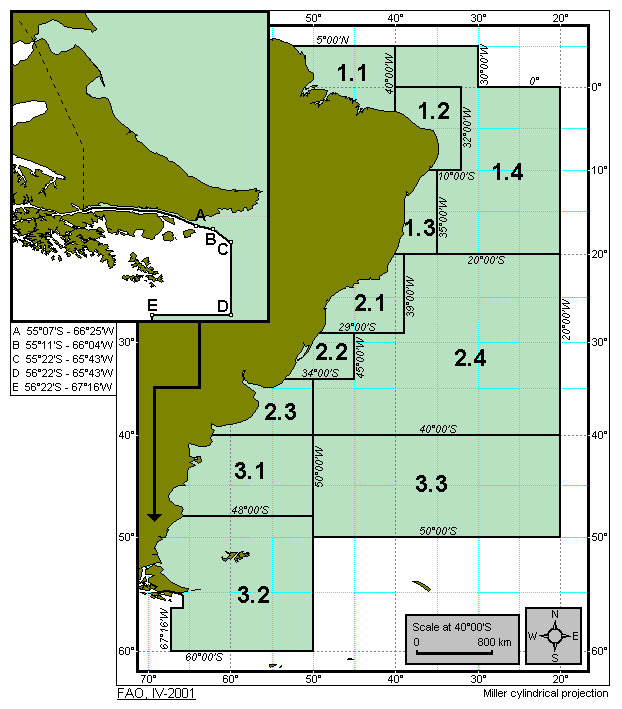 Argentina's Patagonia toothfish fishery is rated LOW RISK. No evidence was found on forced labor, human trafficking or hazardous child labor in the Argentinian portion of the Patagonia toothfish fishery or in the country’s fishing industry generally. Argentina also meets the Seafood Slavery Risk Tool’s country criteria and therefore, the risk of forced labor, human trafficking and hazardous child labor in the Argentina Patagonian toothfish fishery is assessed as LOW. However, it should be noted that key sources point to capacity constraints and challenges with officials who are complicit in human trafficking. At the same time, key sources underline the progress towards better law enforcement, particularly from 2017 to 2018, which resulted in Argentina being upgraded from Tier 2 to Tier 1 in the 2018 U.S. Department of State’s Trafficking in Persons Report 2018. In addition, the Global Slavery Index’s 2018 Government Response rating for Argentina and the government response to modern slavery receiving improved rating in the 2018 Global Slavery Index in July 2018. The UK scallop fishery is rated CRITICAL RISK (except Seafish Responsible Fishing Scheme-certified vessels, which are rated LOW risk). 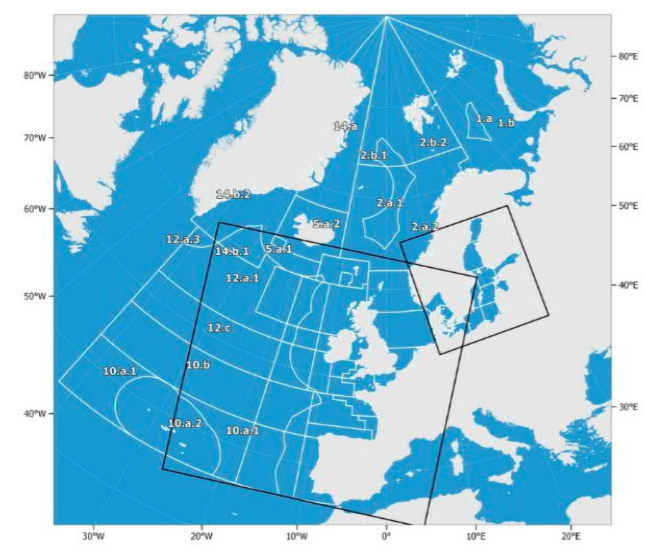 The critical risk rating for the UK scallop fishery is based on multiple sources documenting forced labor occurring on board UK scallop vessels. There is also evidence to suggest that forced labor and human trafficking occurs in other UK fisheries. When a critical risk has been established, adherence to Seafood Slavery Risk Tool’s country criteria and other mitigating factors are not factored in the fishery rating. Therefore, enactment of the Modern Slavery Act 2015, the Human Trafficking and Exploitation (Scotland) Act 2015, and the Human Trafficking and Exploitation (Criminal Justice and Support for Victims) Act (Northern Ireland) 2015 are not taken into consideration. It is noted that the Modern Slavery Act is widely viewed as landmark legislation that has raised the bar globally. In addition, these Acts have specific maritime provisions that enable enforcement at sea, including giving authorities the ability to board ships if slavery, servitude, and forced or compulsory labor are suspected. It is also noted that as of February 2, 2018, the Scottish Fishermen’s Federation’s website states that the “majority of scallop vessels now belong to the Seafish Responsible Fishing Scheme.” According to an economic analysis by Seafish, there were 189 UK scallop revenue-dependent vessels in 2015. As of February 2, 2018, the RFS data show that five scallop vessels are certified and six have applied for certification. The Thai fishmeal fishery is rated CRITICAL RISK based on multiple sources documenting a direct link between the use of forced labor on board Thai-flagged vessels off-loading “trash fish” in Thai ports that is then used in the production of fishmeal (for feed) at Thai fishmeal facilities. There is also substantial evidence that forced labor and human trafficking are pervasive on a systemic scale in the Thai fishing industry. Forced labor and human trafficking are associated, in particular, with long-distance, deep-sea vessels, often using transshipment. Some of these vessels have been documented to fish for “trash fish” (mixed species) for fishmeal production in Thailand. Other evidence relates to higher value species or “fishing” in general. When a critical risk has been established, adherence to the Seafood Slavery Risk Tool’s country criteria and other mitigating circumstances are not factored in the fishery rating. It is important to note that evidence from 2017-18 shows that the risk of forced labor and human trafficking remains high in Thailand’s fisheries even though the Government is making significant progress to combat human rights abuse in the industry. Nevertheless, enforcement of regulations still presents a major challenge. While the U.S. Department of State’s 2018 Trafficking in Persons report upgrades Thailand’s rating from Tier 2 Watch List to Tier 2 in recognition of the Government’s substantial efforts, it also states that significant challenges remain in the fishing industry. In addition, the 2018 Global Slavery Index’s Fisheries analysis rates Thailand’s fishing industry as having a high risk of modern slavery. The Risk Tool team will continue to monitor reform and enforcement efforts in Thailand and encourages Risk Tool users to evaluate current information when conducting their due diligence. The UK scallop fishery is rated critical risk, but scallop vessels that are certified with the Seafish Responsible Fishing Scheme (RFS) are rated LOW risk. The RFS “is a voluntary vessel based programme certifying high standards of crew welfare and responsible catching practices on fishing vessels.” As of February 2, 2018, five scallop vessels are certified and six have applied for certification. Consult the RFS database for the most current information on RFS-certified scallop vessels. South Korea's Patagonia toothfish fishery is rated HIGH RISK. There is considerable evidence of forced labor and human trafficking in South Korean fisheries. Even though a substantial amount of evidence concerns the Oyang vessels, which appear to operate in unrelated fisheries, evidence of forced labor in South Korean fisheries points to a more widespread and general problem extending beyond the Oyang fleet. South Korea meets the Seafood Slavery Risk Tool's country criteria though there are substantial shortcomings around victim protection and very low penalties for human trafficking offenses. The government has not ratified the ILO conventions on forced labor, but it has enacted and brought into force equivalent legislation relating to forced labor, human trafficking, and hazardous child labor and there is credible evidence of enforcement on these issues. In addition, the government has notified the United Nations that it intends to ratify the ILO conventions on forced labor. However, because there's evidence in South Korean fisheries, evidence of forced labor, human trafficking, and hazardous child labor in the country's seafood processing, forestry, agriculture, and aquaculture industries was examined as an indicator of high or moderate risk for the profile fishery. In this regard, there is evidence of forced labor in agriculture, resulting in a high risk rating. Chile’s Patagonian toothfish fishery is rated LOW RISK. There is no evidence of forced labor and human trafficking in the fishery or in other fisheries. One source from the US Department of Labor reports child labor in Chile’s fishing industry, but the report does not indicate whether or not children work on board vessels, their tasks, ages, etc. Since the level of detail does not allow certainty as to whether hazardous child labor is found on board fishing vessels, the report is not used in this risk rating. Chile has up-to-date and comprehensive legislation to prohibit child labor, criminalize modern slavery, and protect workers. While there are indications that the identification of victims of human trafficking and the provision of services to victims need strengthening, there is no indication that enforcement of legislation suffers major, systemic gaps. One source explicitly indicates that there are relatively strong enforcement mechanisms and practices in Chile, while another indicates that more labor inspectors and additional training are still required. Overall, the available evidence does not indicate that forced labor, human trafficking, or hazardous child labor is a substantial risk in the Chilean portion of the Patagonian toothfish fishery. The Brazil snapper fishery is rated HIGH RISK. Inspections carried out by Brazil’s Ministry of Labor and Employment have found fishermen working in situations that are “analogous to slavery” in unspecified marine fisheries. Because there is evidence in Brazil’s fisheries, evidence in seafood processing, forestry, agriculture, and aquaculture industries was examined as an indicator of high or moderate risk for the profile fishery. In this regard, forced and hazardous child labor in the country’s agriculture and forestry industries has been widely reported, resulting in a high risk rating for the Brazil snapper fishery. It should be noted that multiple governmental sources and international bodies report on the country’s significant progress in combatting forced labor, human trafficking, and hazardous child labor. For example, according to the United Nations Human Rights Council’s 2017 Universal Periodic Review, Brazil is an example to follow when it comes to combating modern slavery. Brazil’s Special Mobile Inspection Group has released approximately 52,000 workers from slavery since May 1995, and the Government’s strong labor inspection practices in the maritime industry are well-documented. Indeed, all evidence cited in unspecified marine fisheries comes from the Ministry of Labor and Employment’s reporting on inspection findings. Also, Brazil has drastically decreased the number of child laborers in the country. Several sources note that labor inspection capacity needs strengthening, but there is no indication that enforcement of forced labor, human trafficking, and hazardous child labor legislation suffers major, systemic gaps. While it is beyond the capacity and scope of the Risk Tool to draw conclusions on why forced labor and hazardous child labor persists in Brazil, this may reflect a situation where the right responses are in place, but the scale of the problem is very large or deep-rooted and more time is required to see the full effect of efforts. The Risk Tool team will continue to monitor enforcement evidence from Brazil and encourages Risk Tool users to evaluate current information when conducting their due diligence. The Faroe Islands Barents Sea Cod fishery is rated LOW RISK. No evidence was found that documents forced labor, human trafficking, or hazardous child labor in the profile fishery or other fisheries in the country, and the Faroe Islands fully meet the Seafood Slavery Risk Tool’s country criteria. Although the country is excluded from Denmark’s ratification of the Palermo Protocol and ILO conventions 138 and 182 on child labor, equivalent national legislation is in place to prohibit human trafficking and establish minimum age provisions for work, including work on board vessels. While there is no evidence to suggest that relevant legislation is not effectively enforced, the UN Human Rights Office of the High Commissioner has questioned the strength of the country’s human rights mechanisms and noted the absence of a human rights institution. Marine Stewardship Council (MSC)-certified skipjack and yellowfin tuna carrying the Pacifical logo is rated LOW RISK. The Pacifical logo signifies that the skipjack and yellowfin tuna were caught on unassociated (non-FAD) purse seine vessels with MSC-trained observers that monitor and report on adherence to the unique Pacifical-MSC program. Pacifical is a tuna marketing company created by the eight countries that are signatories to the Parties to the Nauru Agreement (PNA), including the Federated States of Micronesia, Kiribati, Marshall Islands, Nauru, Palau, Papua New Guinea, Solomon Islands, and Tuvalu. Pacifical's Social Accountability Guidelines prohibit forced labor and human trafficking, require decent working conditions and pay for fishermen, and prohibit the use of child laborers under the age of 16 and hazardous and night work under the age of 18. MSC observers may notify PNA authorities if they observe violations of Pacifical's Social Accountability Guidelines. According to Pacifical, these guidelines cover over 300 industrial fishing and transport vessels from more than 10 countries. To achieve MSC certification for skipjack and yellowfin tuna, the captain and crew of PNA-registered vessels must first be trained on MSC's procedures. Second, the captain must apply to the PNA Office for an MSC Trip Number and be assigned an MSC-trained observer who monitors that all requirements are followed. Third, the MSC-eligible tuna must be landed at one of the designated PNA ports and verified by another MSC observer to achieve MSC certification and the Pacifical logo. The tuna is MSC Chain of Custody-certified, ensuring that it is kept separate in the supply chain from tuna caught by other methods and is 100% traceable from the time it is caught to the store shelf. Pacifical tuna is only caught in the Exclusive Economic Zones of PNA countries and Tokelau. 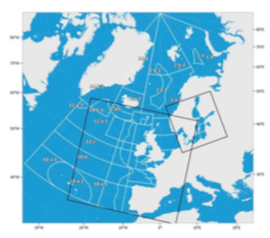 The Norwegian Barents Sea Cod fishery is rated LOW RISK. No evidence was found that documents forced labor, human trafficking, or hazardous child labor in the profile fishery or other fisheries in the country, and Norway fully meets the Seafood Slavery Risk Tool’s country criteria. Norway effectively enforces legislation that prohibits human trafficking and forced labor and has legislation regarding the minimum age for work. However, the number of convictions for trafficking remains low, and trafficking victims are not always adequately protected. While not considered within the Risk Tool’s country criteria, it is noted that Norway is one of only ten countries to have ratified the ILO Work in Fishing Convention, 2007 (No.188), which came into force in November 2017. The Norwegian Maritime Authority reports that several amendments were made to Norwegian regulations in order to meet the provisions of Convention 188, including new requirements related to crew documentation, certification of working and living conditions on vessels of 15 meters length and upwards, and work by those under 18 years on Norwegian fishing vessels. There are three anchoveta stocks, see Fishery Profile for details. The Chile anchoveta fishery is rated LOW RISK. There is no credible evidence of forced labor, hazardous child labor or human trafficking in the anchoveta fishery or in other fisheries in the country. Chile has up-to-date and comprehensive legislation to prohibit child labor, criminalize modern slavery, and protect workers. The USDOS TIP report 2018 states that the Government of Chile fully meets the minimum standards for the elimination of trafficking. Although forced labor, trafficking, and hazardous child labor continue to occur in Chile, there is no indication that enforcement of legislation suffers major, systemic gaps, with evidence suggesting that there are relatively strong enforcement mechanisms and practices in Chile. But there are indications that the identification of victims of human trafficking and the provision of services to victims need strengthening. Furthermore, more labor inspectors and additional training are still required to improve enforcement. Overall, the available evidence indicates that there is a low risk of forced labor, human trafficking, and hazardous child labor in the Chilean anchoveta fishery. 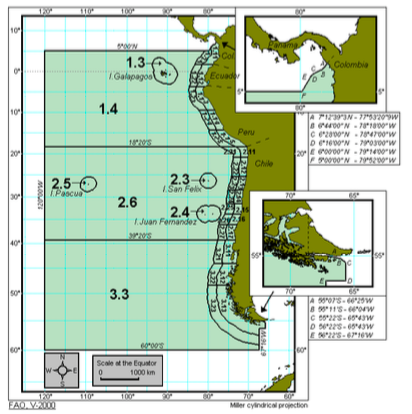 The Peru anchoveta fishery is rated HIGH RISK. There is reliable evidence documenting hazardous child labor in unspecified fisheries in Peru and the country does not fully meet the Seafood Slavery Risk Tool’s country criteria. A lack of capacity within Peru’s labor inspectorate hinders the enforcement of trafficking, forced and child labor laws. Furthermore, effective enforcement of anti-trafficking legislation is said to be hampered by widespread corruption in Peruvian law enforcement and judicial systems. Nonetheless, the Government of Peru is making visible efforts to meet the minimum standards for eliminating trafficking. The Peru anchoveta fishery comprises three components; steel industrial fishing vessels, and wooden semi-industrial vessels that target anchoveta for fish meal and fish oil, and small- and medium-scale wooden vessels that target anchovy for human consumption. However, there is insufficient evidence to distinguish differences in the risk of modern slavery in the industrial fleet or the artisanal and small-scale fleets, therefore the risk rating assigned covers the Peru anchoveta fishery as a whole. But, it should be noted that given the differences in fleet composition, regulation, vessel ownership, and the end-use of the catch, there may be variances in risk between these fleets. The Iceland capelin fishery is rated LOW RISK. No evidence was found that documents forced labor, human trafficking, or hazardous child labor in the profile fishery or in other fisheries in Iceland. Moreover, Iceland meets the Seafood Slavery Risk Tool’s country criteria though sources indicate that there is room for improvement with regard to prosecution of human trafficking cases and victim identification and protection. Overall, however, Iceland has robust legislation, effective enforcement, and a prevention system involving government departments, law enforcement, and civil society organizations. 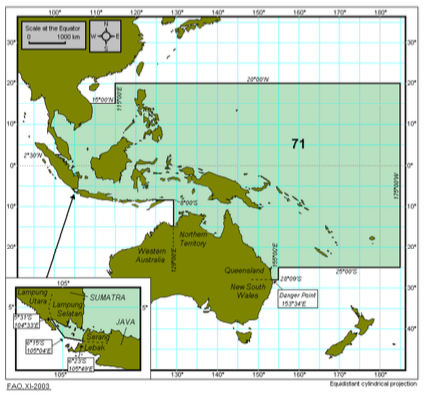 Australia’s Patagonia toothfish fishery is rated LOW RISK. There is no evidence of forced labor, human trafficking, or hazardous child labor in the fishery or in related fisheries and the Seafood Slavery Risk Tool’s country criteria have been met. However, it is noted that a source from the Government’s Institute of Criminology indicates that human trafficking and forced labor in Australian fishing is poorly documented in general. Australia has not ratified ILO Convention Number 138 on minimum age for admission to employment, but the country has enacted and brought into force equivalent national legislation to prohibit non-hazardous work on board vessels before 16 and hazardous work before 18. The Australian legislation is consistent with ILO Convention 188 on Work in Fishing provisions on minimum age and thus satisfies the intent and contents of ILO Convention 138. Australia also has legislation to prohibit and criminalize forced labor and human trafficking, and it is generally enforced though there are significant challenges around victim identification and protection according to the U.S. Department of State. The UK’s Patagonian toothfish fishery is rated LOW RISK. There is no evidence of forced labor and human trafficking in the fishery. However, there is extensive documentation of human trafficking and forced labor in the UK’s fishing industry, but it appears to be in unrelated fisheries. Moreover, the country meets the Seafood Slavery Risk Tool’s country criteria, including adoption and enforcement of robust anti-slavery legislation. 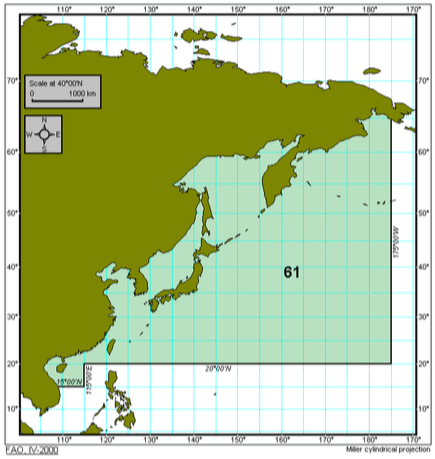 The Russian Barents Sea cod fishery is rated HIGH RISK. There is reliable evidence documenting trafficking and forced labor in unrelated, illegal crab fisheries and unspecified fisheries. A 2013 intergovernmental report presents strong evidence that migrant fishers are sometimes hired by overseas recruitment agencies using fraudulent or deceptive practices and trafficked into Russian fishing operations where they are required to work in conditions of slavery. The report describes the experiences of Ukrainian men trafficked by deceptive means into work on board illegal Russian crab fishing vessels. The men were subjected to forced labor, working 18 to 22 hours per day, seven days per week without pay or access to adequate living conditions and medical care. Furthermore, they were prevented from leaving the vessel and experienced physical violence and abuse. In addition to this report, there is anecdotal evidence from media sources regarding the fraudulent recruitment of workers from Myanmar that is indicative of human trafficking. This evidence is compounded by the fact that Russia does not fully meet the Seafood Slavery Risk Tool’s country criteria. Russia does not effectively enforce its legislation to address forced labor, human trafficking, and hazardous child labor and has failed to provide sufficient protections for victims of trafficking and forced labor. Also, victims are sometimes subjected to punishment for unlawful acts committed because of being trafficked. Furthemore, Russia has not ratified the Port State Measures Agreement, although it is a signatory, and the Federal Agency for Fisheries has admitted that it is not currently able to efficiently combat IUU fishing. However, it should be noted that Russia does have port state controls in place and has recently reported on plans to improve its systems for tackling IUU fishing. Snapper, unspecified species, Lutjanidae spp. Albacore caught by Japanese-registered vessels in Japan's Exclusive Economic Zone is rated a HIGH RISK. The U.S. Department of State’s 2018 Trafficking in Persons report (TIP) upgraded Japan’s rating from Tier 2 to Tier 1. However, a deeper dive into the 2018 TIP reveals significant improvement is still needed with respect to enforcement, prevention, and victim protection in Japan’s Technical Intern Training Program, which places interns in multiple sectors, including fishing. In addition, the 2018 Global Slavery Index’s (GSI) Japan Country Study reaffirms the TIP’s findings, and the GSI’s Fisheries analysis concludes that Japan’s fishing industry has a high risk for modern slavery. 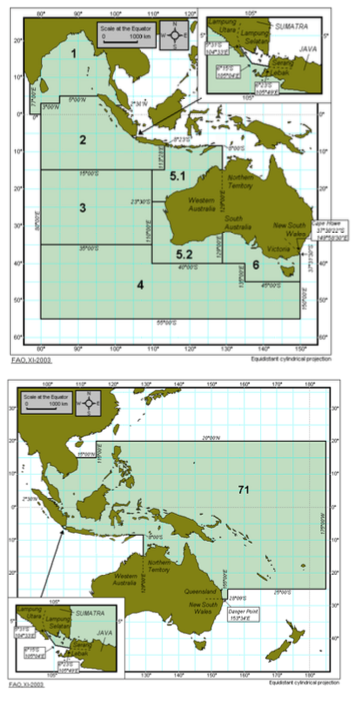 Consequently, Japan does not meet the Seafood Slavery Risk Tool's country criteria due to insufficient enforcement. Because Japan fails to meet the Risk Tool's country criteria, evidence of forced labor, human trafficking, and hazardous child labor in the country's seafood processing, forestry, agriculture, and aquaculture industries was examined as an indicator of high or moderate risk for the profile fishery. Again, credible evidence exists that foreign nationals in the Technical Intern Training Program have experienced forced labor in agriculture, resulting in a high risk rating for the Japan albacore fishery. The Risk Tool team will continue to monitor enforcement evidence from Japan in light of the recent regulatory reforms to the Technical Intern Training Program and encourages Risk Tool users to evaluate current information when conducting their due diligence.